The superhero has been the staple of the modern comic book since the late 1930s. The phenomenally successful movies "Superman" and "Batman" have made these two comic book superheroes as familiar worldwide as any characters ever created. Yet to relatively few aficionados are they known at first hand from their appearances in comic books. 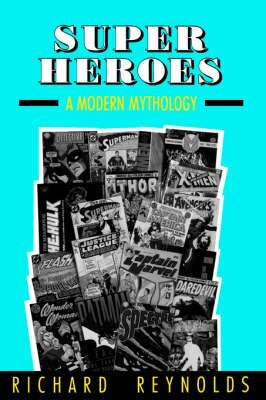 "Super Heroes: A Modern Mythology" explores the origins of the superhero by documenting how heroes emerged from the comic book genre and are defined both by its history and by audience expectations. To show some of the most influential and paradigmatic figures, this study focuses on the texts of three comic books in the genre--"The X-Men," "The Dark Knight Returns," and "Watchman." It examines ways in which the comics mythologize both the role of the hero and the nature of consensus, authority, and moral choice. Blending academic scholarship with specialized knowledge of the comic book medium, "Super Heroes: A Modern Mythology" will have appeal for several audiences. Since most of the academic scholarship published on comic books has focused on history rather than on cultural analysis, this book will be of great value to scholars of popular culture.